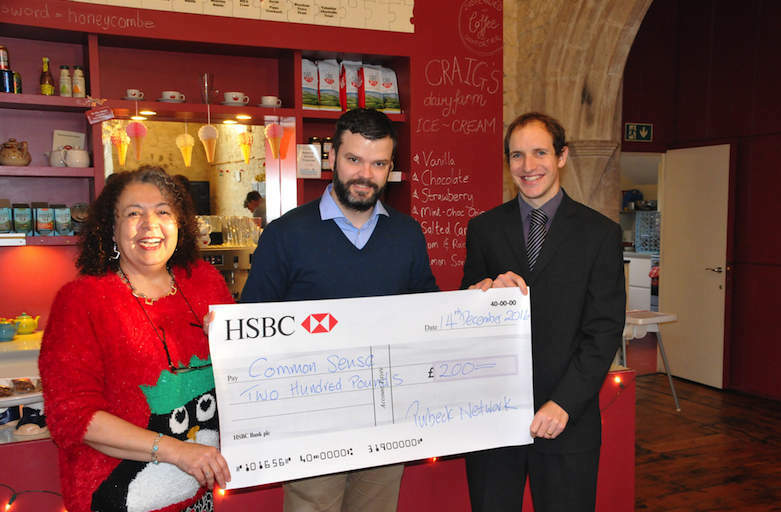 At today’s Purnet breakfast network meeting we presented Iain from the Common Sense charity with a donation of £200. Iain says the money will help go towards a planned trip to the Pantomime this Christmas. Common Sense provide help and support for parents and carers of visually impaired children, providing free canes to UK children and support for parents following No Limits mobility. Find out more via their website and follow them on Twitter.